This is one of a continuing series of strips that tries to situate our Viking heroes in the timeline of the Norse conversion to Christianity. 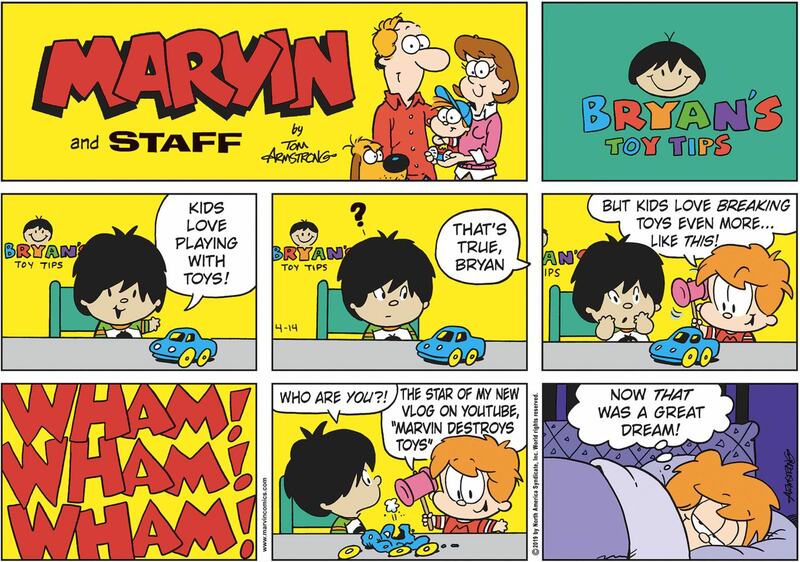 Today, we learn that Hagar has sort of bought into the new religion, but mostly understands it on a fairly superficial level, which can be easily manipulated. 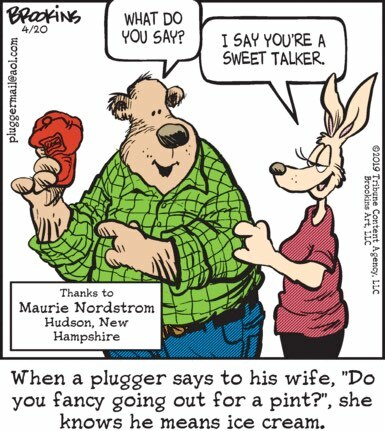 Pluggers … aren’t English? 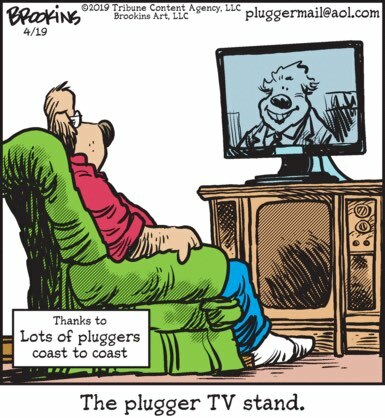 That’s more or less what I’m getting from this panel, and, look, if there’s one thing I knew about pluggers before I even looked it, it was that pluggers aren’t English. Also time for the very funny runners up! “I think Toby’s big smile and nonchalant attitude here is due to the fact that she has realized she is no longer the biggest dummy at Charterstone.” –Where’s Rocky? Sunday 2am: A weekly webcomic about life, love, happiness, philosophy, and marshmallow chicks. The aspect [of Pardon My Planet] that most impressed me was the weird haircuts he gave everyone. 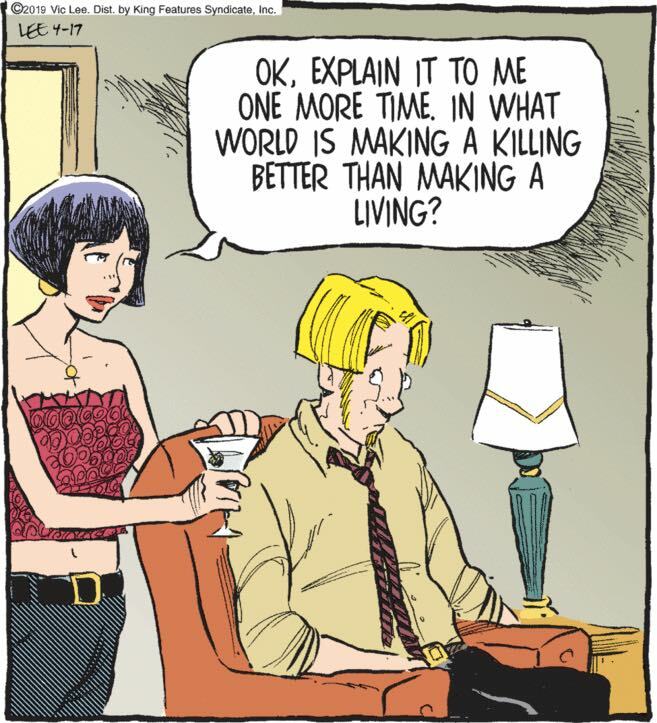 It's like creating a strip with multiple Dagwoods.